The moment you scan the menu and see the price of a salad, your eyes gloss over. You slyly, yet protectively place your hand over your wallet and silently curse the creator of the $7.92 Bacon Cheddar Ranch Chicken Salad. Just when you thought your dinner plans were tarnished, the glow of the neon lights – your saving grace – catches your eye. You knew they’d be hiding somewhere – the cheap fast food options. While it’s true, fast food prices continue to rise, we will always dig up the latest dollar menus, dinner deals, and dirt-cheap fan favorites. This time, we’re sharing the top-rated cheap fast food options from five of the world’s favorite powerhouses. 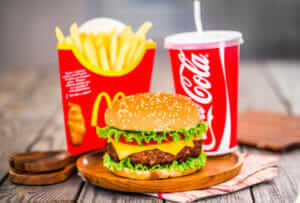 The 2018 return of McDonald’s dollar menu was among the most legendary of celebrations – joining the ranks of man on the moon and the end of prohibition. We recently dedicated an article to the infamous dollar menu, but there were some delicacies that didn’t make the list. Don’t worry – those listed below are just as satisfying. McDonald’s is encouraging us to eat this menu item as a snack, right? They are quite small, but if you ask us, a couple of these puppies makes for a filling meal, with options to drown your grilled or crispy chicken in chipotle BBQ, honey mustard, or ranch. A large fry is quite versatile, serving as a great food to scarf down after a breakup, a side to share with a friend, or a satisfying meal in itself. Be warned – the calories add up fast if you add a burger to your order, but the taste and price are unbeatable. We’re confident when we say the Chicken McNuggets are the Michael Jordan of McDonald’s, withstanding time and remaining adored in the public eye throughout the years. For just $4.99, you get a more-than-filling meal or a great opportunity to share. Burger King and McDonald’s are like siblings. They’re similar, but one is more popular and successful, while the other spends all its days trying to measure up. (We’ll let you determine who is who.) But, we’re like a loving parent who sees that both have great qualities. Plus, nothing trumps the Whopper. As part of the Whopper family, this single patty burger is the best value you can get for a burger from BK. Another frontrunner at Burger King is the BK Stacker, a single patty burger with a slice of American cheese, thick-cut hardwood smoked bacon, and zesty BK sauce on a toasted bun. The Crispy Chicken Ranch Wrap from Burger King is comparable to the McDonald’s Snack Wrap, except there isn’t a grilled option. If you’re ordering something smothered in ranch, you’ve already lost the health battle, anyway. As if choosing something off the menu wasn’t hard enough, Rally’s throws another curveball at us – drive-throughs on both sides of the building. 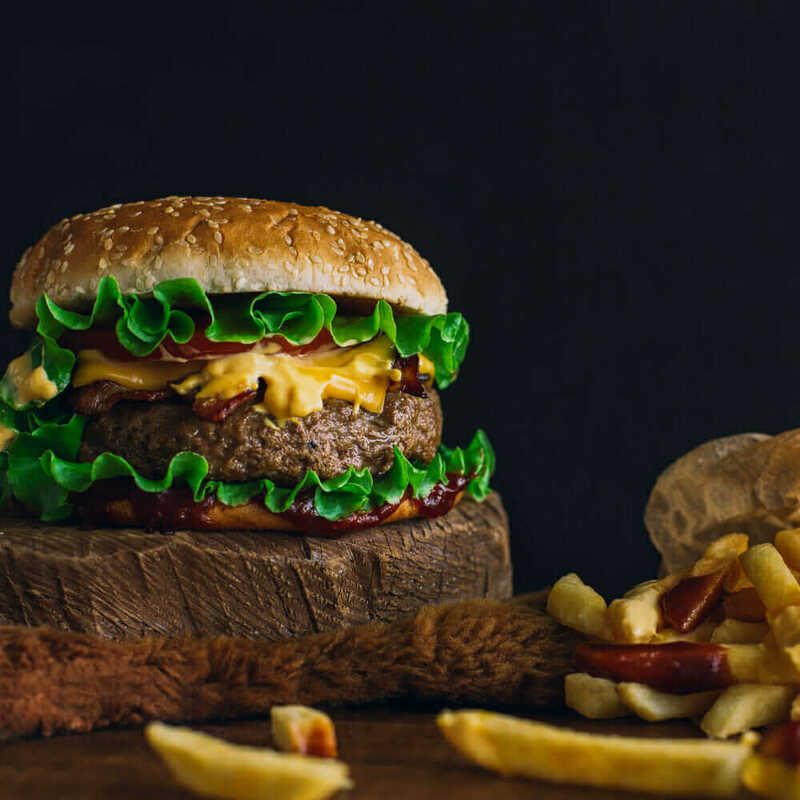 Whether your local joint goes by Checkers or Rally’s, this quirky franchise serves some of the best cheap fast food options. Rest assured, you’ll get the same explosion of flavor whether you order this burger on the right or left side of the building. This classic option is named after the restaurant for a reason, serving up a beef patty, lettuce, tomatoes, onions, melted cheese, mayo, and ketchup. Your loyalties may be with Wendy’s Spicy Chicken Sandwich, but this price is quite persuasive. Take comfort in knowing this burger is exactly what you’d expect it to be – a single beef patty, American cheese, pickles, and mustard. Cheap, greasy, and delicious, the American way. Jack in The Box is a rare find favored by the late-night snackers. If your area is lucky enough to be graced with one of these restaurants, the unbelievably cheap deals might shock you. This is arguably one of the best deals in the fast food industry. Jack in the Box boasts over its tacos on social media with impressive regularity, claiming the glorified hashtag #TacoObsession. The Jr. Jack hides in the shadows of the ever-popular tacos but is still a decent choice if you’re craving a classic burger. Let’s face it – anything competing with the McChicken has their work cut out for them, but at a mere $1.29, we’d say this is a solid option if you’re not into the top-selling Spicy Chicken Sandwich. Taco Bell caters to the fast food lover in all of us, teasing us with those glorified beef tacos, exclusive sugar-packed Mountain Dews, and melt-in-your-mouth cheese quesadillas. 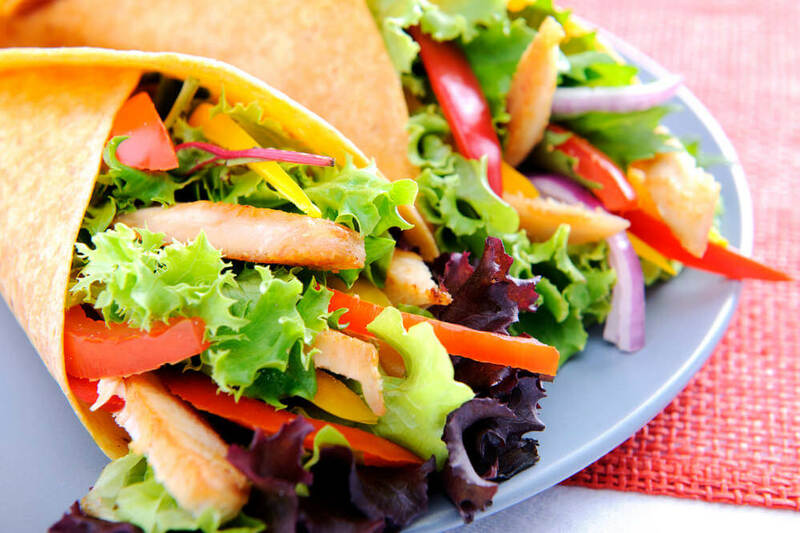 Whether we know what they’re made of or not, these cheap fast food options never fail us. Don’t be ashamed of ordering five Taco Bell tacos (at least). Your other excuse: they’re addictive. That seasoned beef isn’t for everyone. For under $2, you get all-white meat chicken, Latin rice, creamy avocado ranch sauce, and cheddar cheese wrapped in a soft flour tortilla. Serving as a perfect side for your tacos or burrito, you’ll scarf down these nachos in a few bites. Seriously… The portion sizes are small, so plan accordingly. 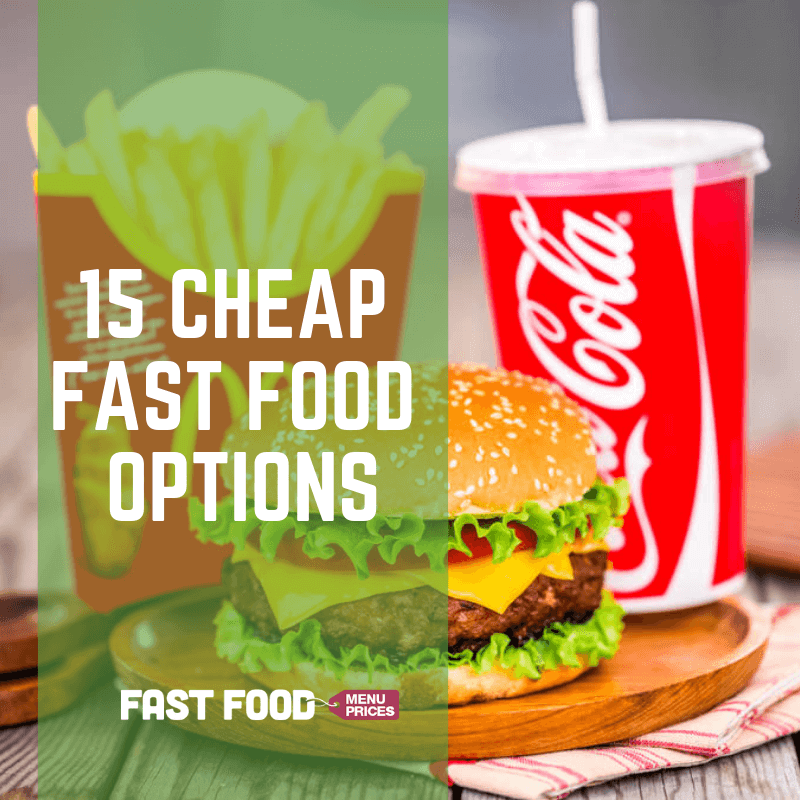 Is your favorite cheap fast food option on our list? Comment below to share the menu item you can’t live without. You know Taco Bell and Burger King really have the best deals for Dollar Menu’s. They offer the most value then any of the others I think. yee dude cuz like ya know i was on my way to go get some tacos n i totally went to walmart instead to buy banquets for a week for what id have paid on fast food for only a couple days. 20c ramens go a long way too, hehehe YEE.